This was used as a weekend deal a couple weeks back with the cuprinol fence paint. Great price as it was £30, then £20 and now £7 !!! where does it say £7? Sorry.. blonde moment perhaps..
Clue. What day is it today? How do you know this is going to happen? Huh? As Graeme says, how do you know this is going happen? I work at b and q on the paint dept. Magnolia. Nice...I'll let my Nan know. But you never asked that! You're asking "Where does it say £7...".....it doesn't say £7..... UNTIL FRIDAY. have some heat I had leyland paint from the trade sectionthat was good i will give this a try thanks for the post. its only matt.. and its starting on friday,I work at b and q on the … its only matt.. and its starting on friday,I work at b and q on the paint dept. Shame it's not the white emulsion as well. Good deal for the landlords out there..
Got lots of family and friends that would be interested in a few of these, can you check the following stores please. Can you check Cardiff for stock plz? Thanks for the heads up OP. I know it's a little cheeky to ask but can you advise me on how many square metres 10l will cover on plain white walls? Cheers, we are decorating right through and this will save us a fortune. Do u have a barcode? Does anybody know of this is suitable for a bathroom? Can you check Sheffield please. fantastic deal, perfect timing but I do fear that they won't have any left by the time I get there. I personally wouldn't use it in a bathroom. I always use bathroom paint. matt, marks quite easily, i.e. greasy fingers/kids etc. Thanks for the heads up OP. I know it's a little cheeky to ask but can … Thanks for the heads up OP. I know it's a little cheeky to ask but can you advise me on how many square metres 10l will cover on plain white walls? Got lots of family and friends that would be interested in a few of … Got lots of family and friends that would be interested in a few of these, can you check the following stores please.Bath Birmingham Bradford Brighton & Hove Bristol Carlisle Cambridge Canterbury Chester Chichester Coventry Derby Durham Ely Exeter Gloucester Hereford Kingston-upon-Hull Lancaster Leeds Leicester Lichfield Lincoln Liverpool London Bangor Cardiff Newport St David's Swansea Armagh Belfast Lisburn Londonderry Newry. Manchester Newcastle-upon-Tyne Norwich Nottingham Oxford Peterborough Plymouth Portsmouth Preston Ripon Salford Salisbury Sheffield Southampton St Albans Stoke-on-Trent Sunderland Truro Wakefield Wells Westminster Winchester Wolverhampton Worcester York Aberdeen Dundee Edinburgh Glasgow Bath Birmingham Bradford Brighton & Hove Bristol Carlisle Cambridge Canterbury Chester Chichester Coventry Derby Durham Ely Exeter Gloucester Hereford Kingston-upon-Hull Lancaster Leeds Leicester Lichfield Lincoln Liverpool London Bangor Cardiff Newport St David's Swansea Armagh Belfast Lisburn Londonderry Newry. Manchester Newcastle-upon-Tyne Norwich Nottingham Oxford Peterborough Plymouth Portsmouth Preston Ripon Salford Salisbury Sheffield Southampton St Albans Stoke-on-Trent Sunderland Truro Wakefield Wells Westminster Winchester Wolverhampton Worcester York Aberdeen Dundee Edinburgh Glasgow Inverness StirlingInverness Stirling. Classic! ... best post I've read in a while. 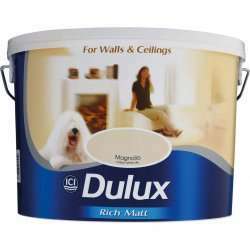 Not just landlords, nothing looks brighter and cleaner than magnolia walls and white woodwork.